It’s an exciting time for TrueBounce, inc. Now more than ever, communities are calling for our high-performance backboards and basketball equipment to park upgrades, new construction and school playgrounds across the country. As TrueBounce realizes this demand, we are seeking a local presence in territories throughout the USA and Canada. 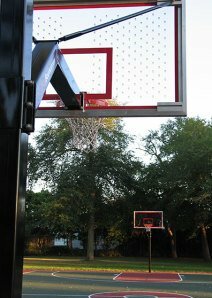 TrueBounce, Inc. has earned the confidence of thousands of customers. Our reputation has been built on products that are innovative, functional and bring players back to the courts. As a dealer, you would not only be joining an innovative manufacturer, you would also be selling a nationally recognized brand. People do not need our products-they want them! TrueBounce is currently seeking qualified dealers to add to our team. What can you expect from TrueBounce when you become part of our team? What are the dealer requirements to participate in this program? Dealers are expected to call on local Park and Recreation Departments, Housing/School Authorities, Architects & Athletic Directors/Coaches (College & High School) in assigned territory.